So I have been doing these coffee dates for a month-ish now. I have found that there are recurring themes I hear over and over and over again… to the point that I’m figuring out all of us really do struggle with the same things. Different variations of the same things. 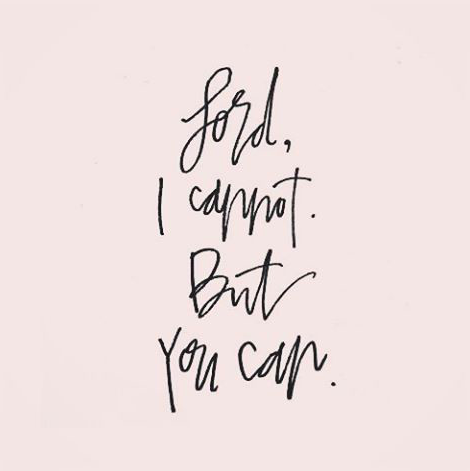 · and the main one… lack of motivation to make time to study the Bible and pray. AKA lack of consistency in her time with Jesus. Lots of lacking going on here. I hear it just about every day. Honestly, I experience the lacking, too. It’s not just the girls on the other side of the screen during the coffee dates. It is also me. The lack of consistency in our time with Jesus is the root of the lacking in every other area. The lack of desire, vision, and clarity all stem from a lack of consistent and undistracted time with Jesus. If that consistent and undistracted time with Jesus was intact, there wouldn’t be a lack of these things. There would be a security in these things. An abundance of these things. Vision, clarity, and desire are all byproducts of practicing the spiritual disciplines. The disciplines call us to move beyond surface living and into the depths. The desperate need of today is not more intelligent people, but more deep people. Going to the depths of our soul is hard. It feels unnatural and uncomfortable. But it forces us to come face to face with sin… control, apathy, busyness. The list is endless. If we lack depth, we live in the surface. In the surface sin abounds. Think about this in Isaiah 57:20… “the wicked are like the tossing sea; for it cannot rest, and its waters toss up mire and dirt.” The sea does not have to try to produce mire and dirt, that is the result of its natural motions. This is true of us when we live under the conditions of sin. The natural, day to day motions of our lives produce mire and dirt. Sin is part of the internal structure of our lives. No special or extra effort is needed to produce it. No wonder we feel trapped in the lacking! We recognize that we’re trapped in the lacking and we try to get untrapped (is that a word?). We try so hard to free ourselves from sin’s natural motions. We pray, we fast, we forbid ourselves from certain activities or foods, but we cannot free and purify our own heart by exerting our own will. We need God’s help. God has given us spiritual disciplines as a means to move past being trapped in the lacking. Practicing the disciplines places us on the path to be transformed by God. A farmer is helpless to grow crops. All he can do is provide the right conditions for the growth of the crops. He cultivates the ground, he plants the seed, he waters what he plants, and then the natural forces of the earth take over and up comes the crop. This is the way it is with the spiritual disciplines – they are a way of sowing into the Spirit. The disciplines are God’s way of getting us into the ground. They put us where he can work within us and transform us. By themselves, the spiritual disciplines can do nothing. They can only get us to the place where something can be done. If you think that “spiritual discipline” sounds like a term that is lofty, unattainable, only-for-the-holiest-of-people, let me stop ya dead in your thoughts! The disciplines are intended to be for ordinary human beings. That means you and me. The disciplines are best practiced doing ordinary things. Normal things… things in our jobs, in our relationships, while washing the dishes and cutting the grass (I don’t cut the grass so let’s change this one to feeding the cat, haha!). But for real, if the term “spiritual discipline” has a negative connotation or seems unattainable to you, just call it something else. Like consistent, undistracted time with Jesus. That, my friends, is a spiritual discipline. Our world longs for genuinely changed people. Leo Tolstoy says, “Everybody thinks of changing humanity and nobody thinks of changing himself.” Inner transformation of our lives is a goal worthy of our best effort. And when we ask the Holy Spirit to swoop in and help, he comes. He helps. And over time, we found ourselves no longer trapped in the lacking but flourishing in the growth. If we lack depth, we live in the surface. In the surface sin abounds. Grow deep my friends, grow deep, and see just what God has in store for you. 1. Turn off all distractions. I usually put my phone on silent (no sound or vibrating), set a timer on it, and turn the phone face down. I read and pray until the timer goes off. I think this builds trust with God... He loves seeing us be obedient to making time for him every day. It shows him we can be trusted with the little things. I call it spiritual integrity! 2. If you like structure, find a reading plan or Bible study. Speaking of Bible study, starting on April 9th a group of women will be studying Ephesians together. Do you want to join? All you have to do is buy the Ephesians Journal by Well Watered Women ($18 + shipping) and be committed to doing the study! Women all over America are starting it together on April 9th. I've already bought my journal and I can't wait for April 9th to get here. There will be no in-person meetings... it's just a virtual community of women studying the same book at the same time. I think it is going to be powerful for the women who do it. I would love for you to join! If you are going to join, let me know! Leave a comment, email me, send a carrier pigeon. Just inform me in some way! 3. Find a source of accountability. I used to have a calendar to mark off days that I made consistent, undistracted time with Jesus (my goal was to do it every day but I didn't always make that goal). I would also write down on each day where I noticed that God showed up in my day. Come to think of it, I miss doing this. It really grew my faith because I started to notice God all around me every day! I should start doing this again. For now, my husband is my accountability. I told him that I am working on getting my morning routine back in order and to help me stay committed to this goal. He does help... but I am really missing that calendar accountability! 4. Write your prayers in a journal. Start doing this RIGHT MEOW if you have not already. Scroll down a tad and you'll see a picture of my prayer journals. I started writing my prayers in a journal 10 years ago. I reread old journals and I find where God answered prayers that I overlooked. Reading the old journals gets me out of a "God doesn't even see me right now" rut REAL QUICK. Well, that's all for now. I had so many thoughts in my head floating around about this topic so I wanted to share. I hope it has helped or encouraged you in some way. At the end of the day, all I want to do is help you love Jesus more.